Hi there!I would just like to remind you about our April Specials. Hope our new site is useful for you. We have been busy beavers working on a new online store to surprise you 🙂 We thought it was about time. Hope you find it useful and let me know if you like it or if you found a problem. Email me and let me know what you think. Within the last 6 months the global epoxy raw material costings have been slowing increasing, we are now seeing some increases coming through from anywhere up to 8%. Some of the factors that are effecting the markets are slow growth in the mature markets of the US and Europe increased demand from environmental authorities in the Asian market. Increased demand on bis phenol-A and Epichlorohydrin used in the production of epoxy resins continues to have the greatest effect on pricing. Increases to raw material pricing on curing agents is also on the increase with increases currently moving up to 5%. 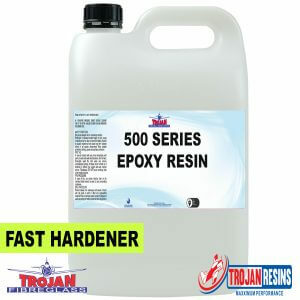 Trojan Fibreglass has an impressive list of supply partners and we have a very large purchasing network all over the world. For many years we have developed business relationships with some of the world’s top chemical and composites manufacturers. So you can be assured that you are getting the highest quality materials available. If you would like to become a trade partner or would like Trojan Fibreglass to be a distributor, please contact us via the contact page. We are proud to be in partnerships with world leaders such as Akzonobel, United Initiators, ChemTrend and Jushi, just to name a few. Interested in becoming a distributer? We are always on the look out for distributors right across Australia, if you are interested in becoming a distributor partner please contact us via the contact form below. We would be very happy to speak to you and let you know what we have to offer.